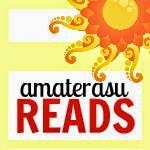 Amaterasu Reads: Character interview w/ Sara of What She Left Behind by Tracy Bilen + Giveaway! Character interview w/ Sara of What She Left Behind by Tracy Bilen + Giveaway! Okay, so I'm a little late in posting this, but it's a special post! 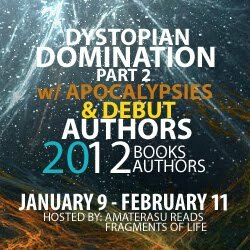 Please welcome Apocalypsie Tracy Bilen to the blog! It's a one of a kind post! I always loved reading posts where the author interviews her protagonist! Now there's a lot of mystery surrounding Sarah and this is your chance to get to know her even before we all get to read the book! Sara: I play the E flat clarinet. My brother used to call it the shrunken clarinet. Interviewer: How about your favorite sport? Sara: Don’t have one. I hate all forms of organized sports. Interviewer: Don’t you have to play in the band at football games? Sara: That’s right. But I don’t actually watch the game. I stuff a copy of Soap Opera Digest under my uniform to read. Interviewer: What’s that you’re reading now? Sara: This? It’s a Stephen King book. I like horror. It helps keep things in perspective. Interviewer: It looks like you wrote something on the front cover. Sara: Me? No. Alex loaned me the book. Sara: Yeah, Alex Maloy. He sits next to me in history. Sara: Okay , so I may have watched a little bit of the last football game. (Blushes) But this thing with Alex, it’s never going to work out. Sara: You swear you won’t tell anyone? Sara: It’s not going to work out because I’m not going to be here. Mom and I are getting out of here. We’re leaving Dad. Sara: We were supposed to leave Tuesday, but Mom didn’t show up at the Dairy Dream like she was supposed to. Sara: I don’t know. But she must have had a good reason. Interviewer: Have you heard from her since then? Sara: No. But I’m sure she’s on her way. Interviewer: How can you be so sure? Sara: Because if she doesn’t come back, it can only mean one thing. Sara: (Whispers) It means that she’s dead. Who is Alex Maloy? I'm really intrigued. And I've read Stephen King's books too, but I'm not really a big fan. Add What She Left Behind to your Goodreads list! "Don't even think of leaving...I will find you," he whispered. "Guaranteed." Sara and her mom have a plan to finally escape Sara's abusive father. But when her mom doesn't show up as expected, Sara's terrified. Her father says that she's on a business trip, but Sara knows he's lying. Her mom is missing--and her dad had something to do with it. Each day that passes, Sara's more on edge. Her friends know that something's wrong, but she won't endanger anyone else with her secret. And with her dad growing increasingly violent, Sara must figure out what happened to her mom before it's too late...for them both. 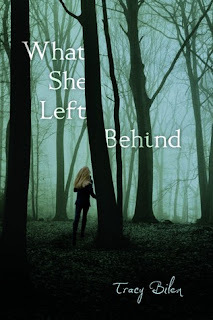 WIN A FINISHED COPY OF WHERE SHE LEFT BEHIND BY TRACY BILEN! 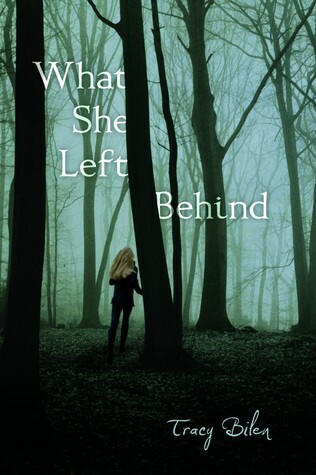 Read the summary for What She Left Behind and tell me what you are excited about in the book! I'd love to hear your thoughts about Tracy's debut novel and it's really one of the books I'd love to read. I love how the cover reflects the mystery of her Mom gone missing! Sounds like a thrilling read! The book sounds eerie and i love eerie! As a survivor of domestic abuse, I love reading anything where the characters must overcome their own abuse. This sounds like a very powerful read. After being drawn in by the cover, the premise sounds incredible. The mystery. It pulled me in but it didn't give me any answers!! Can't wait to read this! The blurb was excellently paced and immediatly made me want to follow the mystery to its conclusion. Sounds like an excellent thriller. Wow!! What a powerful storyline and a cover that really draws you in - wanting to know the mystery!!! I just added this one to my list. Gotta have it! I' excited about being kept on the edge of my seat while reading. It sounds creepy/scary. I thought it was very clever that so many main characters were introduced in such a short interview. Well done, and thanks for hosting this event. and the cover is really good, love the green coloring :) I love Stephen King and this sounds great, too. This sounds good and creepy! Just like I like em! Thanks for the giveaway! What a secret to have to keep. I would love to read WHAT SHE LEFT BEHIND thank you. It looks amazing. the cover is really beatiful. I'm very intrigued by the story, i wanna know what happen to the mom! Whoa, sounds intense! Thanks for the giveaway! Im looking forward to reading this story and am wondering if the author will sign and deliver my copy personally to her Uncle Dales home in Wisconsin. Good luck Tracy with the book. I am so glad I came across this post, this book sounds exactly like the sort of book which I would love! Thanks for hosting this giveaway! I'm looking forward to reading What She Left Behind because the cover really draws me in. It makes me want to see where this girl goes and if she finds safety as well as how she discovers what happened to her mother. Whoaa...that sounds majorly FREAKY! But definitely intriguing <3 reminds me a little of one of the Cherub books...where the father killed the mother, but her body was never found :S Seriously, this sounds interesting! Like the cover and the description makes me want to read the book to find out what happens!! It's also interesting that it's written from the daughters perspective too..... Would love to get my hands on this! The cover is beautiful and it sounds like a really good book! I love the cover, but the story sounds so intense that I need to read this so badly. I've been waiting months for it! The cover is really intriguing! Love the cover and it really sounds like a story I would love. Can't wait to read it. The cover is darkness and amazing! I'd loved! I love chine tingling mystery and the cover is beautiful! Sam, his ex wife Darlene and their daughter, Jamie. Savannah Greer left town as a teen but is back for her fathers funeral.